Whisk together flour, sugar, cornmeal, baking powder, and salt in a medium bowl. Add milk, kimchi, and eggs. Whisk to form a smooth batter. Insert a toothpick into each hot dog round (through the casing) so it looks like a lollipop. Heat 3 inches of oil in a heavy 6-quart Dutch oven or tabletop fryer to 325°F. Working with one skewered hot dog at a time, dip hot dog round into batter, rolling toothpick between fingers to coat hot dog evenly, and gently lift it, ensuring hot dog does not slide off toothpick. Dip battered hot dog into the hot oil, holding toothpick, until batter begins to puff, about 10 seconds. 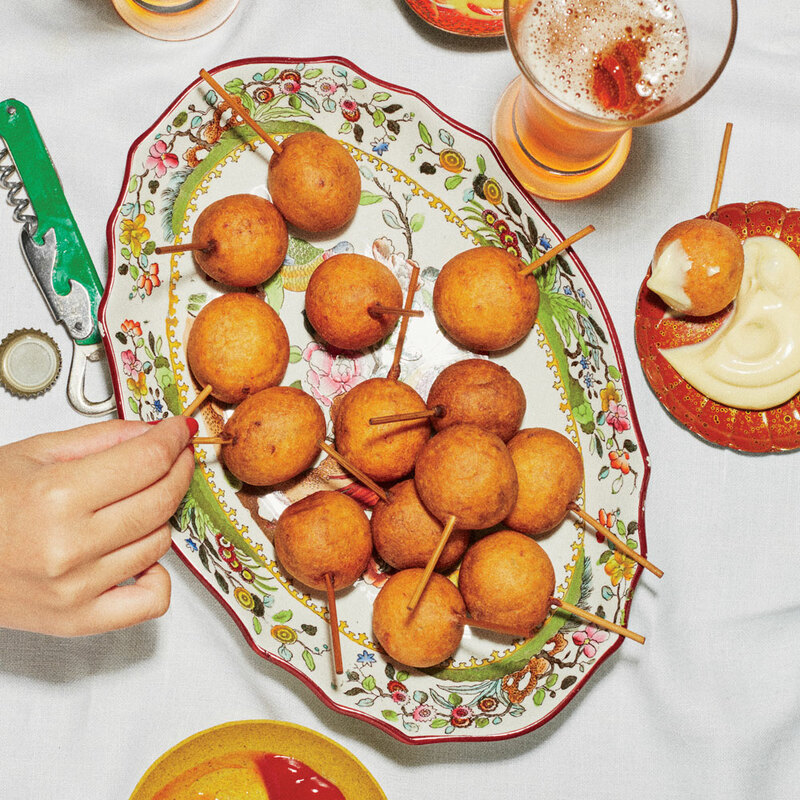 Let go of toothpick; corn dog should float in the oil. Repeat with remaining hot dogs and batter, cooking in batches as needed. Fry corn dogs, stirring occasionally to ensure even browning, until batter is golden brown and cooked through, 6 to 8 minutes per batch. Using tongs, remove corn dogs from oil and drain on paper towels. Serve with mayonnaise, ketchup, or honey mustard for dipping. Нашел в интернете популярный портал про направление https://agroxy.com. У нашей фирмы полезный сайт , он описывает в статьях про https://apach.com.ua. Наш интересный портал со статьями про https://best-mining.com.ua.